The atmospheric characterization of a significant number of terrestrial planets, including the search for habitable and potentially inhabited planets, is probably the major goal of exoplanetary science and one of the most challenging questions in 21st century astrophysics. However, despite being at the top of the agenda of all major space agencies and ground-based observatories, none of the currently planned projects or missions worldwide - neither in Europe, nor in the US, China or India - has the technical capabilities to achieve this goal. 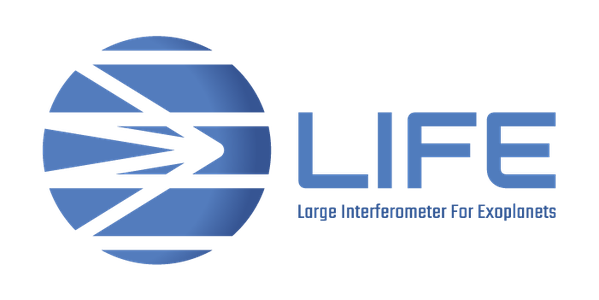 LIFE addresses this issue by investigating the scientific potential and technological challenges of an ambitious mission employing a formation-flying nulling interferometer in space working at mid-infrared wavelengths. As such, LIFE is grounded in the heritage of ESA's Darwin and NASA's TPF-I concepts from the early/mid 2000s. However, breakthroughs in our understanding of the exoplanet population as well as significant progress in relevant technologies justify the need, but also the feasibility for a future mission like LIFE to investigate one of the most fundamental questions of mankind: are we alone in the Universe? Community building by generating interest in the science and technology development and expanding the team of collaborators. Please get in touch with us!